Sunday was suppose to be a rest day but I couldn’t miss out on another group run with @UrbandGirlSquad & @Athleta_UES! Since Saturday was the first long run of training and I potentially have two soccer games this week, I made a deal with myself in that I could go but I’d take it easy. And here’s what I love about the group – I’ve gained the confidence to be completely ok with taking it easy. Despite my last run with them being not the best, I stuck with the intermediate group, trying to keep it conversational pace from the beginning. It was a wide range this time : 11 min – 8 min. 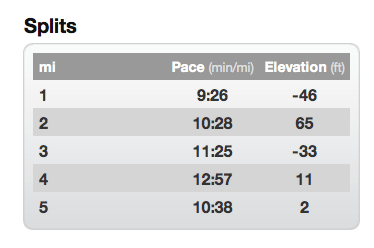 I ended up chatting with someone new and we stuck with the same pace throughout the run. It was her first time with the group and a come back from a break in running. When we slowed down to a walk some where after mile 2 I was ok with that – I forgot my compression sleeves and was feeling the shin splints (but yay for no hip pain!). It was perfect weather – sunny but with a cool breeze (didn’t stop me from sweating!). The run was exactly what I’m trying to focus on – being ok to walk when needed, hydrating (I brought water!) and keeping control / not over pushing every time. Oh yeah – and having fun. It became more about the social aspect than pushing myself as hard as I could, we chatted about Girls on the Run with one of the coaches (I’m a running buddy for the 5k next Sunday) and various volunteering stuff. Next run is June 17th – you should come! Categories: Uncategorized | Tags: 6/3, Athleta, athleta run club, central park run, girls on the run, girls run, Group run, mindful running, morning run, running, splits, stats, Sunday run, Urban Girl Squad | Permalink. This Saturday I get to be a Running Buddy during the big 5k run – what the girls have been working towards for 10 weeks. See Caitlin’s recap of the Charlotte 5K (GotR headquarters) here and learn more about the program here. Last night we had an orientation of sorts to learn about the program on a national & local level (NYC is still fairly new but growing tremendously) and what expectations were as our role as a Running Buddy. My office (& industry) is very tunnel vision and it’s easy to make it the majority of your focus day in, day out. I miss teaching kids yoga a lot sometimes, while I would never make it my career as a 25-year-old with no siblings or young cousins it’s easy forget how much there is to gain from interacting with kids. One of the coaches said it last night as well as in the video, and as cliché as it is I totally agree : you learn as much from the kids as they learn from you. Not going to lie, a little nervous that my buddy will smoke me & I’ll be struggling to keep up. But the funny thing is, I’m not the only one with that concern I learned last night. We had the option to run the 5K last night and while the GotR rep was not afraid of the rain the rest opted to wait to see the course. I headed to the gym instead. I have this bad habit of thinking I can walk faster than waiting for a bus or subway. For the record the idea of standing in the rain sounded stupid so I thought walking would at least make progress – the bus passed me & arrived 10 seconds before I reached the gym. My bloodsugar was 88 – if I was coming from the office I would declare it too low & an excuse to skip. However, I just trekked it in the rain with heavy bags – I was at least getting on the bike for some light cardio (skipping a Zumba class so I could control my effort a little more). Low & behold (ha, is that a pun? I amuse myself) I surprised myself making it through 15 min on the bike feeling fine (downing a few glucose tablets) and then pulling out 30 full minutes on the elliptical. Score. I haven’t actually been to the gym aside from monday night yoga in a long time so it felt good to get back on the machines. Do you work or volunteer with kids? When was the last time you surprised yourself doing more than planned for a workout? Categories: Running | Tags: 5K, community, exercise event, girls on the run, gym, kids, nyc, running, something new | Permalink.